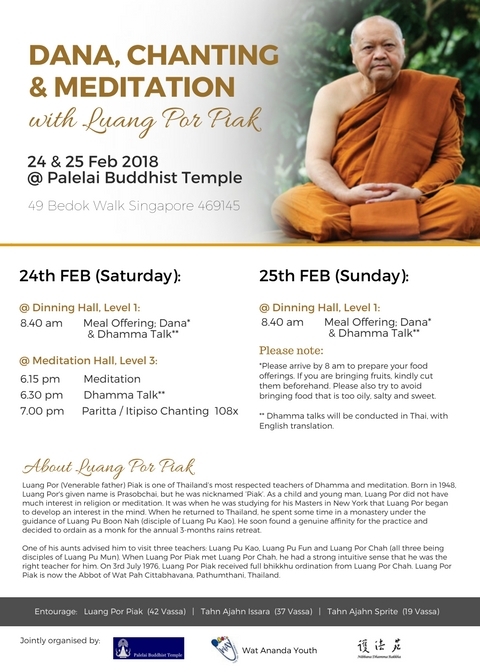 Luang Phor Piak will be in Singapore for short visit from the 24th to 25th of February. Kindly refer to the posters for details. If you have any queries, kindly drop an email to way1966@gmail.com or drop us a message at our Facebook page.